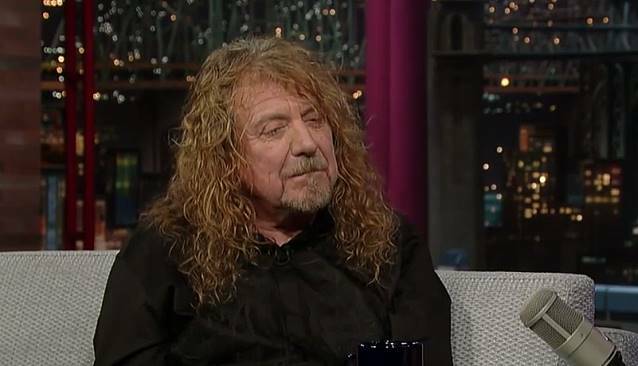 Legendary British singer/songwriter Robert Plant has signed with Nonesuch Records. The label will Plant's new album later this year. Further details about the CD, which will feature the SENSATIONAL SPACE SHIFTERS band, will be announced shortly, as will upcoming tour dates. Robert Plant made his first commercial recordings in 1966. In 1967, he formed a group called the BAND OF JOY with drummer John Bonham. Soon Bonham, Plant, guitarist Jimmy Page, and bassist John Paul Jones formed THE NEW YARDBIRDS, which eventually became LED ZEPPELIN. The LED ZEPPELIN era ended in 1980 when Bonham died. Since that time, Plant has turned his wide-ranging musical talents toward solo albums as well as recordings with Jimmy Page and with bands like THE HONEYDRIPPERS, PRIORY OF BRION, STRANGE SENSATION and BAND OF JOY. Plant's writing and performing reflects his infinite artistic and intellectual curiosity, fed by his global travels, with influences from West Coast psychedelic rock, roots blues, African music, and traditional American and European folk. His recent collaboration with Alison Krauss, "Raising Sand", further expanded his horizons. Produced by T Bone Burnett, the album won six Grammy Awards, including "Album Of The Year" and "Record Of The Year." His most recent release, "Band Of Joy", was co-produced by Buddy Miller and revived his 1967's band's name. It featured several stellar country/Americana musicians performing music from LOW, Townes Van Zant, Richard Thompson and others. Plant says of working with Nonesuch: "I'm pleased to find such a reputable home for our renegade departures. The support and encouragement we have received has been strong and refreshing. Turn it up!"